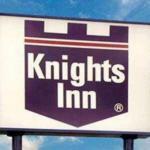 A good location and free Wi-Fi and breakfast attract guests to the Knights Inn Augusta Fort Gordon. All 42 rooms in this two-story hotel have updated furnishings microwaves mini-fridges free Wi-Fi and cable TVs. The hotel provides free daily newspapers to enjoy with a complimentary breakfast. Pets are accepted for a fee and with restrictions and there's no charge for parking. The hotel is about a mile from I-520 and seven miles from Augusta National Golf Club home of the Masters Tournament. Fort Gordon is about five miles away. Paine College the Medical College of Georgia and Augusta Mall are each about four miles away. Augusta's downtown business district and the popular Riverwalk on the Savannah River are 13 minutes away by car. Hartsfield-Jackson Atlanta International Airport is about 150 miles away.